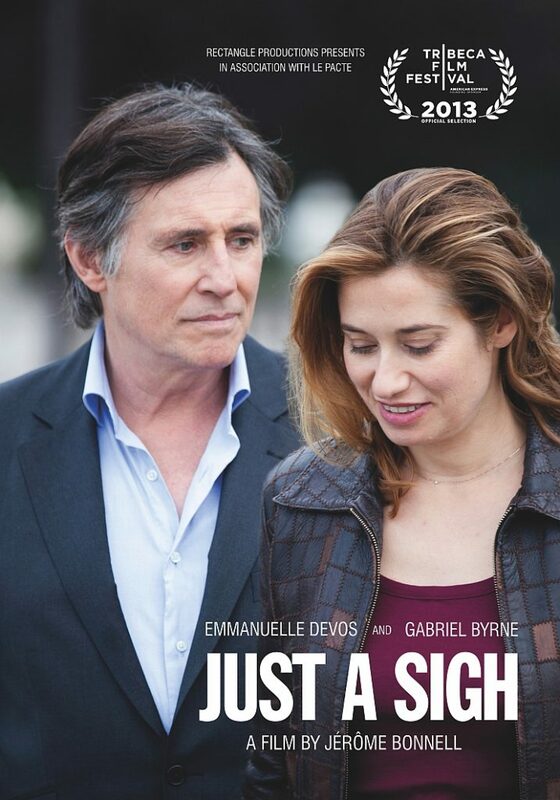 Gabriel Byrne in “Just A Sigh” at TFF 2013–UPDATED April 21! Just A Sigh continues to get good reviews as it screens at the 2013 Tribeca Film Festival. 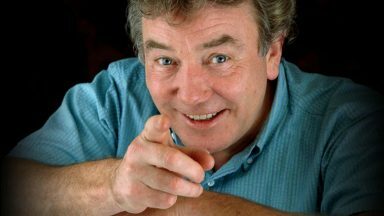 Mr. Byrne did not appear on Friday after all, but he may turn up at some point during the festival’s run, which is through April 28. As the film goes on, it’s one joy and folly after another, as Alix sorts out her demons — familial, professional, and otherwise — on the streets of Paris, while never losing the thought of this one strangely awesome guy who’s been thrust into her life. Meanwhile, Bonnell sprinkles the whole thing with generous helpings of vibrant color, classical music, absurdly funny coincidences and mistakes (and a strong narrative line that never lets us forget why we walked in the door). Devos and Byrne are both wonderful. They’re constantly outdoing one another with moments of intensity, longing and loss — but at the same time, they’re a perfect complement. Granted, Sigh revisits the familiar terrain of Brief Encounter and other short but sweet cinematic trysts. However, Bonnel’s mostly French language film is unusually mature, sophisticated, and frankly kind of hot, in a middle aged way. 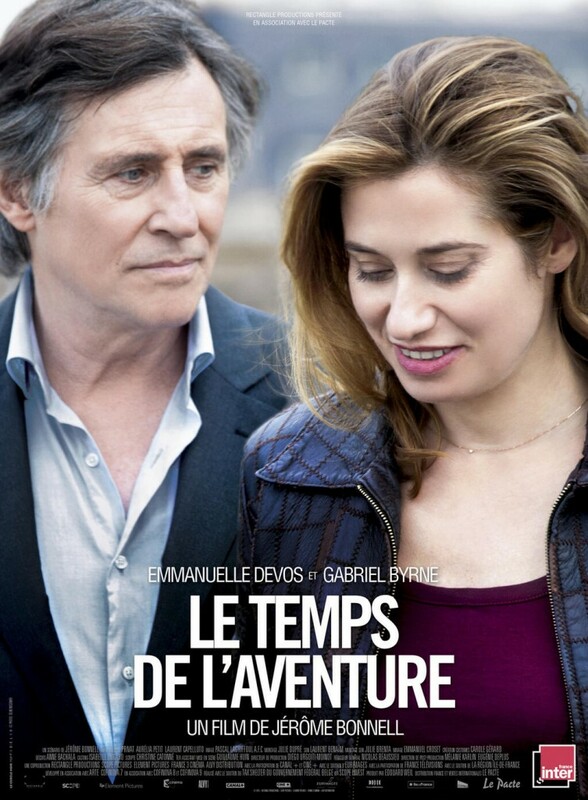 The on-screen chemistry between co-leads Emmanuelle Devos and Gabriel Byrne is quite powerful. Devos shows considerable flexibility, segueing from Alix’s scatter-brained rushing about to her massively smoldering scenes with Byrne. For his part, the Irish actor radiates tragic dignity as her temporary lover. Anne-Katrin Titze: There are a lot of characters in your film who don’t make an appearance but are very important for the story. Was is clear to you who wouldn’t show up? You trick the audience’s curiosity. Jérôme Bonnell: Because I think cinema is to hide, before it is to show things. Warm applause met the end of the film and both Emmanuelle Devos and director Jérôme Bonnell were in attendance. 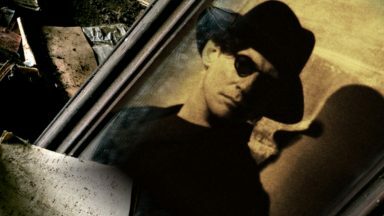 Gabriel Byrne was not there, but he is scheduled to be at the festival to meet the press today (Friday). If there’s a gestational quota for pregnant glances, writer-director Jerome Bonnell makes the most of it in Just A Sigh ( Le Temps de l’aventure), the carefully made and very well acted tale of a fling set in Paris on the longest day of the year. 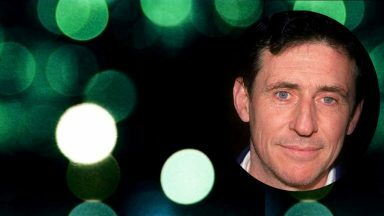 Predicated in large part on the notion that most any 43-year-old French woman — in this case, an actress played by Emmanuelle Devos — would find Gabriel Byrne’s lived-in lookes irresistible, the film will play like a pleasing fantasy to most and a borderline parody of a French movie to some. This 21st century Brief Encounter-mit-bonking, which figures in the Tribeca competition line-up, has met with reverent critical approval in France and promising local attendance since its April 10 release. Just A Sigh premieres tonight at the 2013 Tribeca Film Festival! 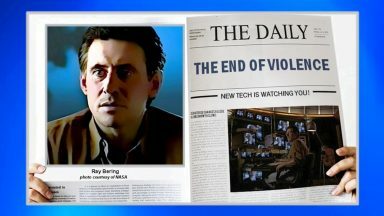 And don’t forget: Gabriel Byrne is confirmed to appear at the festival to “meet the press” on Friday, April 19! I have a friend who is attending the Tribeca Film Festival in an official capacity. Her name is Anonymous. 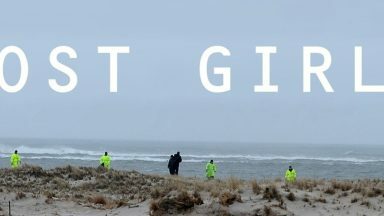 She interviewed the director of Just A Sigh, Jérôme Bonnell, and she has graciously provided a transcript of this interview for our reading enjoyment! Thank you, Anonymous, for the interview and also the new poster! This interview is provided courtesy of gaffermag.com, whom we thank! 1. In how many days and when exactly did you shoot the movie? 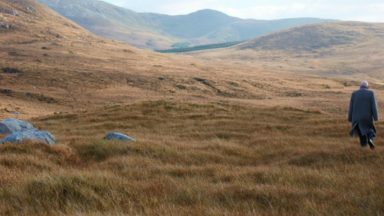 We shot it in 35 days and with a budget not particularly high. 2. This film was shot with a RED. How was your experience using a digital camera? Yes indeed, this was the first time. Usually we’re shooting on 35 mm, but using the HD technique was very beneficial on this film, especially for the scenes at the train station and in the train and subway, where we plunged into crowds of real passengers and therefore had to be very discrete. We had to be fast and flexible and only the HD cam made this possible. 3. Paris looks great in this picture, not the photographed-to-death-sightseeing spots, but nearly unknown locations – how challenging was it for a French filmmaker to shoot in Paris these days, and where did you find this beautiful spots? I’m born and raised in Paris and I love my hometown but this was the first time I decided to shoot a movie there. All my other films took place in small towns. That’s what interested me most in “Just a Sigh” – not to contemplate Paris but to film it with the eyes of Alix, from her point of view, her floating state of mind – to find herself between two places – the theatre in Calais and Paris, where she is only for a few hours, almost like a stranger, a visitor in her own town. 4. Was it your idea to shoot during the “Fête de la musique” day? [Stella notes: I think this is like “World Music Day”] And was it really shot on the 21st of June or did you hire a few bands to make it look like it was shot then? 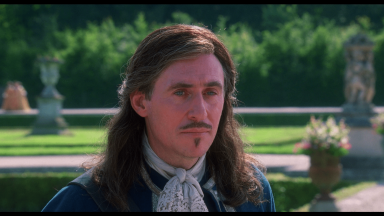 Some of the scenes were shot on this very day and it was very exciting to delve into an non-instructed audience with a small film crew and Emmanuelle Devos and Gabriel Byrne. Throughout the film I wanted to sprinkle the story with many counterpoints: This “Fête de la musique” is one of them. In fact, the crowd, the noise, the jubilation around my characters highlighting their melancholy and the intimacy of their relationship especially after these quiet moments spent in the hotel room. Amid this wave of joy they feel even more alone in this world. 5. How important was the soundtrack with all the classical music to portray the character’s mood? I used the classical music to give the film a timeless and universal touch. During the writing of the script, I listened to certain concerts of Vivaldi. He has an inimitable way to suspend time and somehow his music is like an echo of an entire life to me. This could be a perfect summary of this story too. However I was far away from being convinced that this could work, since a soundtrack can not be limited to a theoretical desire. Only when I edited the movie I noticed with joy and thankfulness that it worked perfectly well with Vivaldi. Then in my elan I added some choirs of Verdi, to me their « sacredness » is close to sensuality or eroticism. 6. Were the actors (Devos & Byrne) both your first choice and did it influence the writing in any way? Emmanuelle Devos was more than first choice since I wrote this part for her. We already had worked together for «Waiting for someone» and this experience was wonderful. It was very inspiring to write for an actress, it makes things easier and gives you wings! 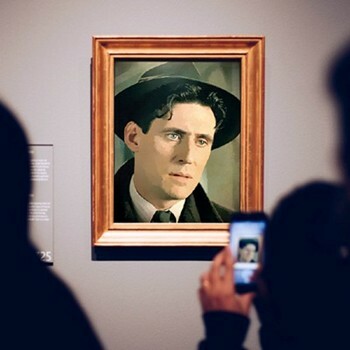 I didn’t write the male part with any particular actor in mind but when it came to the casting, of course Gabriel Byrne was the first choice for this English professor. Apart from his immense talent, he is one of these actors who can tell a story with a single glance before he speaks a word. A big secret surrounds him and at the same time a deep sense of trust. Offering him the role of the stranger on the train I could perfectly imagine a woman following him though she knows absolutely nothing about him. 7. What fascinates a young filmmaker to tell the story of a middle aged woman and man at the crossroads of their lives? For me as a writer and director it’s much easier to tell stories about people that seem to be far away from my own person. Nevertheless I can carefully reveal something of myself, it’s a fact, that in each and every character you can catch a glimpse of its author’s personality. And just because both of these characters are stuck in the middle of their lives, I wanted to tell their story. Alix and this man get caught by their own sentimentality, though they believed they got rid of this kind of feeling thanks to her long life experience. That’s what touched me, that’s what I was interested in. The battle between being mind-driven and acting on impulse. By the way, Alix is a 43 year old woman, today that’s not the age it used to be twenty years ago. Today at this stage of life you can still see some traces of adolescence, it’s an age, where many women still get pregnant, so it’s not the end of the world. Just A Sigh has its international premiere at the Tribeca Film Festival on Thursday, April 18, as part of the festival’s World Narrative Competition. The film opened last week in France as Le Temps de L’Aventure and response there has been very positive indeed! 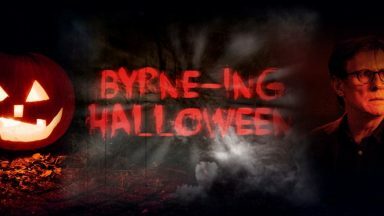 It has been confirmed that Mr. Byrne will be in attendance at the festival on Friday, April 19 to be available to the press. It is believed that both Emmanuelle Devos and Jérôme Bonnell, the director of the film, will also attend the festival. What we hope is that all three will be present at a Q&A session after one of the screenings of Just A Sigh, but we will have to wait and see. More details will be shared as they become available, so stay tuned! All screenings are noted as RUSH, which means the film screening is sold-out but tickets may become available. In the short break between performances in Calais, stage actress Alix, played by the stunning Emmanuelle Devos (Desplechin’s Christmas Tale), makes a quick escape to Paris. On the train, she meets a mysterious English stranger. Drawn toward him, she follows him, loves him, for a few hours, before facing what could be a new life. 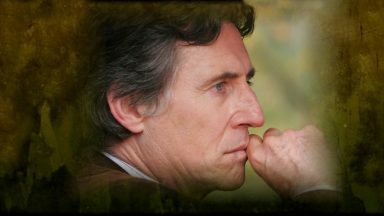 With masterful performances by Devos and her acclaimed co-star Gabriel Byrne, Just a Sigh is an imaginative and lushly filmed Parisian romance. Young and versatile director Jérôme Bonnell (Le Chignon d’Olga) tells a real-time story with a particular sense for detail. Reminiscent of François Truffaut’s The Woman Next Door, the film captures vivid insights of a burning love evolving between two characters, wonderfully brought together by Bonnell’s down-to-earth approach. Just a Sigh captures an irrational, sentimental encounter balanced between the extremes of elopement and routine, with breathtaking psychological intrigue. The tonal shifts are all handled smoothly; Devos can switch gears mid-scene like nobody’s business, but Bonnell also keeps things coherent with long takes that let humor, drama and introspection coexist side by side, just like in real life. The use of classical works on the soundtrack by composers such as Vivaldi tries, perhaps a tad too self-consciously, to infuse the film with gravitas, though they’re nicely offset by the different varieties of live music Alix and Douglas encounter as they amble through Paris on what turns out to be World Music Day. Thank you for sharing the interesting interview with the director of Just a Sigh. I hope it will be great days for Just a Sigh, the director and the actors at Tribeca Film Festival. Is it just me. In the poster it looks like Mr. B. is not even looking at Miss Devos. If you look at his eyes they seem to be looking away from her and looking at something else. But it’s still a great poster and I’m sure I’ll cry when I get a chance to see it. Regarding crying: yes, that, and also FEELING. This is a film that is going to inspire some FEELINGS. Are we ready? Just saw Gabriel’s movie last night at the Tribeca Film Festival. 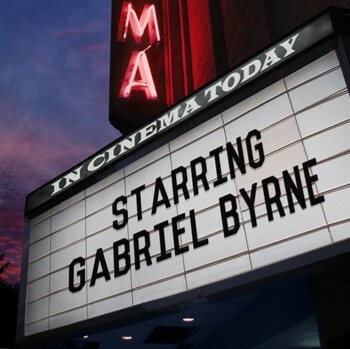 It was an amazing movie, with such a brilliant performance by Gabriel Byrne. A real “Brief Encounter” love story done with such beauty and humanity. Hopefully it will get picked up stateside. Just a Sigh on several Tribeca BEST lists. To celebrate listen to Sting-Charles Aznavour “Love is new everyday” / “L’amour c’est comme un jour” one of the great French love songs, which could have been composed for this film. Buy on Itunes in French or English. Well, I would say from the Narrative that part you wrote about the guy who could actually Listened to Devos Heart beating I’ll say it is the less thing she could feel with all the Intimate in the same room with Gabriel good for Devos that her heart handle the Situation and not make her fainted as you said from the first kissing scene also loved what the Director said about Gabriel how he was really sure that he picked the right man in the right role & how he was Convinced with Gabriel’s Talent I only can Imagine what Devos will do when she first saw him on that Train I myself would not Imagine but for she’s Following him!!!! when he Strikes her with that look all this made to us a very well done romance with breathtaking and a Particular sense detail with Stunning actors.❤️ Looking forward to read the next 2 essays who remained that you wrote for this movie too.